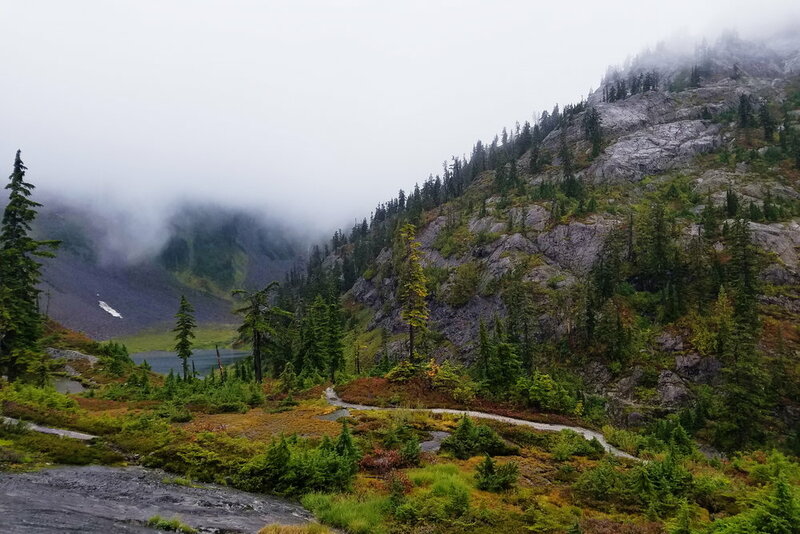 It was a cool and misty morning when our group of 10 met up at the Snoqualmie Lake trailhead to join a larger crew for some trailwork with the Washington Trails Association - perfect weather for working outdoors. After reading Dirt Work, Christine Byl's memoir about her 16 years working in trail maintenance, I could think of nothing better than hitting the trail for some dirt work of our own. I was beyond excited that so many other women from Alpine Trails Book Club agreed, and chose to spend a Saturday volunteering for hard work in the woods. Several in our group were even out for their first time!